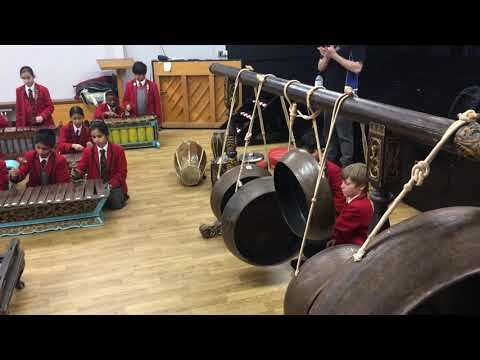 ” We were lucky to have a Gamelan workshop. We were joined by the boys’ school and were put into pairs on each instrument. We learnt that the Gamelan is from Indonesia. The instruments were called Saron, Kendang, Gender and Gongs. After, we learnt how to play each instrument and then were able to switch around. We learnt that some instruments lost notes from the pattern and some gained notes.